Digital marketing is essential for all companies, large or small, if you want to stay in the game. Unicorn is a digital marketing agency providing a tailored service to a variety of businesses. We are proud to say that honesty is at the heart of our business. We know our clients love working with us because they trust us to do what is right for their business in an increasingly complex market. There isn't a one size fits all approach any more, so we make sure your marketing campaign is perfectly suited to your industry and your market, and your budget is invested in areas that give you the best return. We are a results driven agency. Everything we do makes an impact. We continually monitor and analyse your website and report to you with meaningful statistics and sensible suggestions for improvement. As a result, Unicorn has gained a reputation for being one of the leading digital marketing, design and SEO agencies in Warrington. UNICORN DELIVERS - DON’t JUST TAKE OUR WORD FOR IT THOUGH - READ THIS! 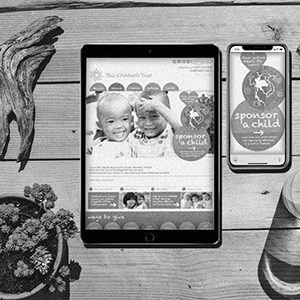 "Thai Children’s Trust worked with Kerrie Andrew and Unicorn to produce an online campaign including website, landing pages and social media presence which consistently generated more than £100,000 gross donation income every year over a period of four years. In fundraising terms this was achieved by building a significant income stream from committed giving – child sponsorship and other regular gifts – with a target of adding six regular gifts per month on average, at an average annual value of £200 per donor. Added to this was income from other online activity – support for donor JustGiving pages, and The Big Give both making significant contributions. The strategy, which was adopted on Unicorn’s advice, majored on campaign landing pages, which proved successful in attracting regular givers, especially through adword and SEO activity. Monthly newsletters and Social media campaigns – facebook, twitter and even occasionally Linked-In – brought traffic to the landing pages, but could also be used to generate support for other donor-led or external campaigns like ‘Big Give’, whilst serving a broader purpose of informing potential supporters about Thai Children’s Trust and our work with vulnerable children in Thailand. Unicorn’s extensive toolkit of analysis and metrics were the technical driver, enabling us to see at any point what result our activities were producing, and to invest to reinforce success. In my experience a lot of people talk about SEO, adwords and online marketing, but notably fewer actually deliver. For Thai Children’s Trust, Kerrie and Unicorn delivered a campaign which worked over a sustained period and most importantly recruited new donors at a competitive cost." Unicorn will offer you a variety of digital marketing methods. We only recommend marketing strategies that are suited to your business and will get you the results you want. Some of our clients just choose one method, some choose them all. Either way we will make sure we create the perfect bespoke marketing package for you and that all important budget. We measure and track all our marketing methods so we can tell you exactly how much income has been generated from our campaigns. You can spend as much or as little as you want. For example, one of our clients spent £500 with us and made a massive £10,000 in sales for his business. Another client spent a mere £10 on social media ads and ended up with 154 clicks to his website and a total of £500 in sales, just through one small campaign. It pays to have an expert working with your budget! If you are struggling to turn your website traffic into conversions, need advice on landing pages and optimising your website to improve its performance, Unicorn can help. We will start by researching your business and target audience, look at specific keyword research for your market and then create a landing page which will generate quality traffic. We will optimise the page to make sure that the maximum amount of clicks to your page convert and actually make you money. Your investment in to marketing should always pay off! We achieve this with a mixture of techniques, great content, powerful imagery, intriguing messages and a strong page build that means your page is fast and doesn't leave your customers waiting. We have a proven track record of improving conversions by over 50%. Just ask our clients! Email marketing for most companies is crucial. We haven't ever delivered an email that didn't yield results.. The beauty of email marketing is it’s fast, cheap and sends out a well targeted message at the right time, to the right people. Most importantly, our well thought out campaigns along with our expertise bring in conversions. Email marketing can pull in an average of 30% of your online sales. We can design, create and send all your email marketing if you wish to save your time and administration costs, or we can hand the reins over to you and you can send them out yourself using our easy to use email marketing tool, Unicorn Box. Boost the effectiveness of your campaigns by employing a range of offline marketing techniques. 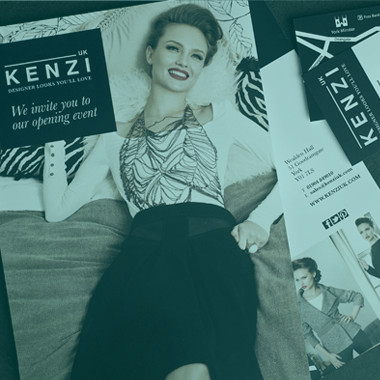 We design powerful literature that communicates your business perfectly through mailshots and supporting literature.